Bishop Lawrence Levi Taylor was called to preach at an early age and heard the voice of God say to him, "Hebrews 12:14". He then began his ministry at age 12 under the leadership of the late Reverend G. W. Manning at the Second Antioch Baptist Church in Powhatan County, Virginia. As a young child he attended Powhatan Elementary School, and later on attended Armstrong High School of the Richmond Virginia Public Schools. Later in life, he moved to Richmond where he served under the pastorate of the late Elder Mary Montgomery (Mount Sinai Holy Village, Petersburg, Virginia). God later directed him to Jerusalem Holy Church where he served under the great leadership of the late Bishop James F. Brown, Jr. and Bishop Olive Brown. In 1986, he was assigned to pastor Fountain Holy Church of the Mount Sinai Holy Church of America, Inc. He is a graduate of the City of Richmond Chaplain’s Academy, and has served as Chaplain on the Board of the Jackson Ward Clergy Association. He is also a graduate of the Evans-Smith Leadership Training Institute at Virginia Union University School of Theology and the Faith Landmark Bible College. Bishop Taylor is currently the Senior Pastor of the Fountain of Deliverance Outreach Ministries headquartered in Richmond, Virginia that has expanded into multiple locations. He also pastors Little Rock Holy Church in Palmyra, Virginia. 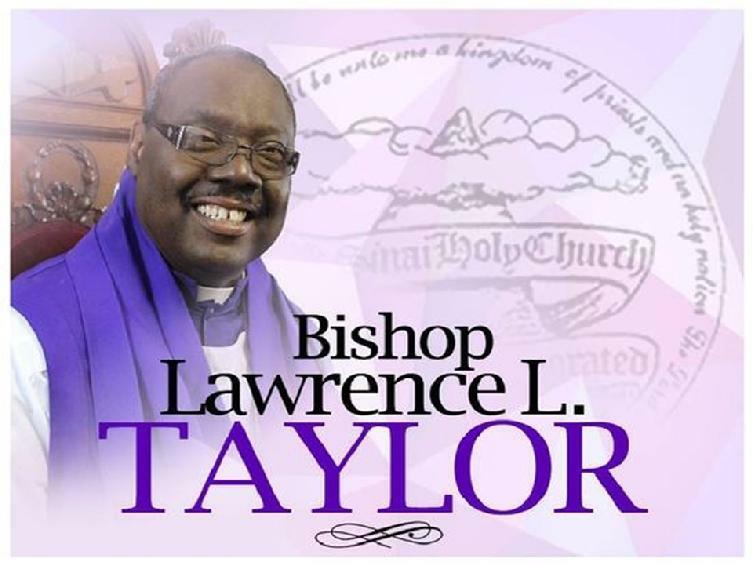 Bishop Taylor currently serves the National Church of the Mount Sinai Holy Church of America, Inc. (MSHCA) as the Second Vice President, a member of the Board of Directors, Board of Bishops and Chairman of the Men’s Department. He currently serves the Southern District of the MSHCA as the Assistant to the Bishop of the Southern District and the President of the Virginia State Churches. He is the founder of the Healing Our World Crusade Ministries. Bishop Taylor is also a servant – leader in the community. Because of his genuine love for people, he has started several outreach projects to impact lives of individuals both one on one and collectively throughout the Commonwealth of Virginia and beyond. He has owned and operated several transitional facilities to assist those in various communities in the Richmond area in times of need. Bishop Taylor is heralded as a Pastor’s pastor and wise counselor as he advises leaders both home and abroad. Bishop Taylor is happily married to the lovely, Elder Stephanie K. Taylor, and they are the proud parents of five lovely children Latavia, Kendra (James), Lawrence, Stephen (Rudee), and Kenneth (Timnekqua), and six grandchildren.